Meet our Accident-Free 2014 Mitsubishi Mirage ES shown in sleek Sapphire Blue is fun to drive, fuel efficient, fully equipped, and affordable! This sporty machine is powered by a spirited 1.2 Litre 3 Cylinder providing 74hp and is paired with a thrifty CVT. Together, you can expect up to 5.3L/100km! 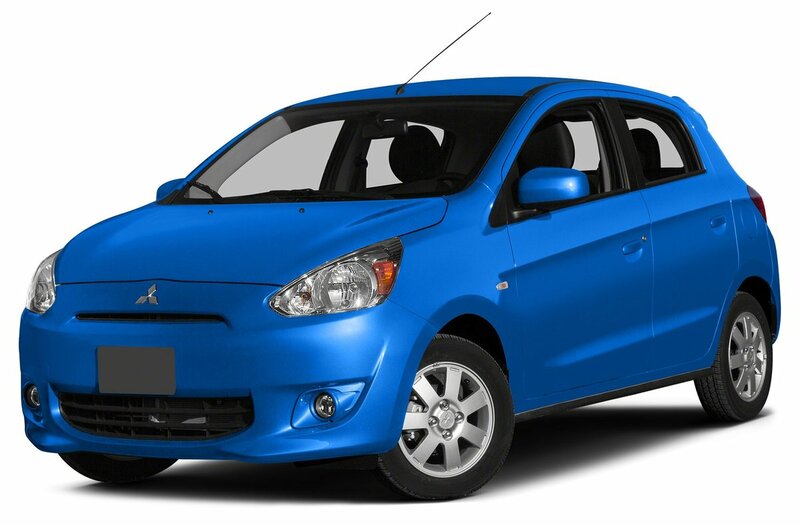 The exterior of the Mirage is aerodynamic and includes a rear spoiler, alloy wheels and fog lights for a sporty touch. Stepping inside will reveal a roomy and feature-laden interior. FAST-Key entry w/Push Button Start, automatic climate control, 140-watt CD/MP3 audio system, Bluetooth and power windows and door locks are just a few of the luxuries included. Split-folding rear seats, 12-volt power outlet and a multi-information meter display all do a part in providing added convenience. Seven-airbag safety system is designed with you in mine as well as anti-lock brakes, active stability control and a tire-pressure monitoring system are all provided for added peace of mind. The Mirage is fun, easy on gas and also on the eyes. But more importantly, easy on the bank account! Print this page and call us Now... We Know You Will Enjoy Your Test Drive Towards Ownership! This vehicle is available exclusively at Go Auto Outlet. Why such a low price? We cut out the middleman and passed the savings on to you!